A study performed at Plymouth University has shown that playing Tetris for just three minutes can reduce cravings for food, alcohol, and cigarettes. The game basically distracts the brain from images of the aforementioned substances by shifting focus to the almost 30-year old game. The lead professor stated that cravings usually last a couple of minutes and during this time, the individual is picturing the item they want and how good they will feel if they receive it. Thus, even a quick game of Tetris can help eliminate episodes of cravings. The study instructed participants to rate their cravings in strength, vividness, and intrusiveness. Half of the individuals played the game for three minutes and the other half waited for the game to load for three minutes. The group that actually played the game reported 24% less cravings than the group that didn’t get to play. Now before you go and dust off your copy of Tetris for the NES, it should be noted that probably any kind of three minute distraction when a craving sets in will likely reproduce similar results as the study. Playing Tetris itself is not inherently a craving buster, so replace the game with your favorite three minute activity and voila! 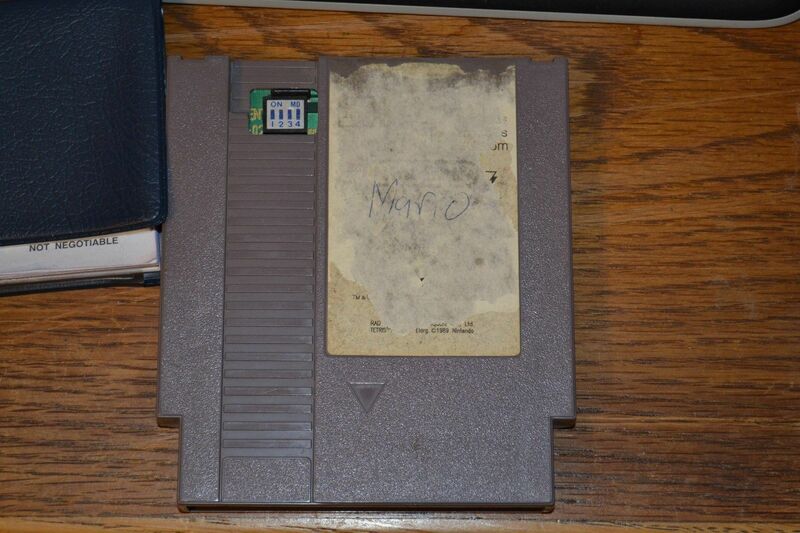 For those unfamiliar with the cartridge listed in this eBay auction, a starting bid of $4,999 probably seems ridiculous especially given the sad state of the label. But to the fanatical collectors of old-school video games, this is a golden opportunity to own one of the rarest NES games ever made. 116 to be exact of these Nintendo World Championships cartridges were manufactured. 90 are of the gray variety like the one in the auction and the other 26 are gold toned, as pictured in the post header. The Nintendo World Championships was held in 1990 and tasked contestants to play a customized game cartridge that included Super Mario Bros., Rad Racer, and Tetris. They were then given out to the finalists and have since grown to become the most valuable NES “game” due to the limited quantities. *Note: I am in no way affiliated with this eBay auction.